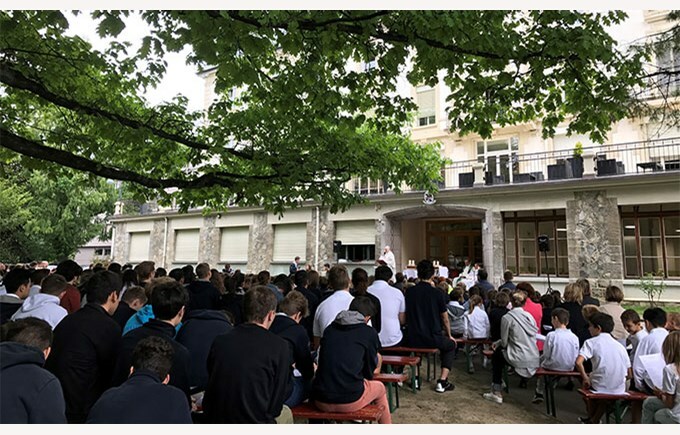 In September, the students of the Collège from 5th to 14th grades, the teachers, the staff and some parents took part in a mass in the gardens of the school. 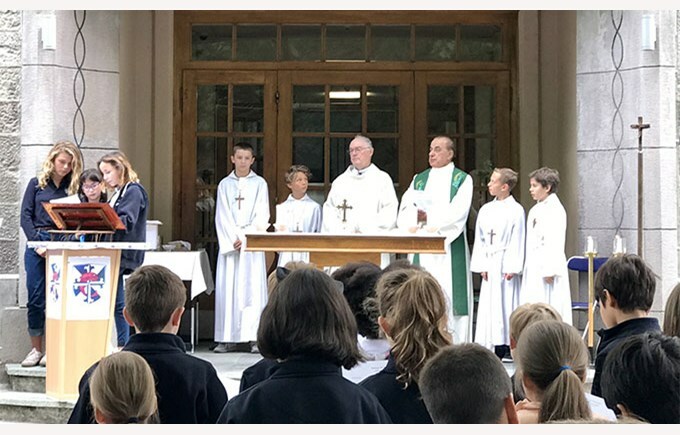 Father Charles Niqueux and Father Paul Algento officiated at this great moment of reflection and recollection, which was a nice moment for everyone especially after the start of the school year. 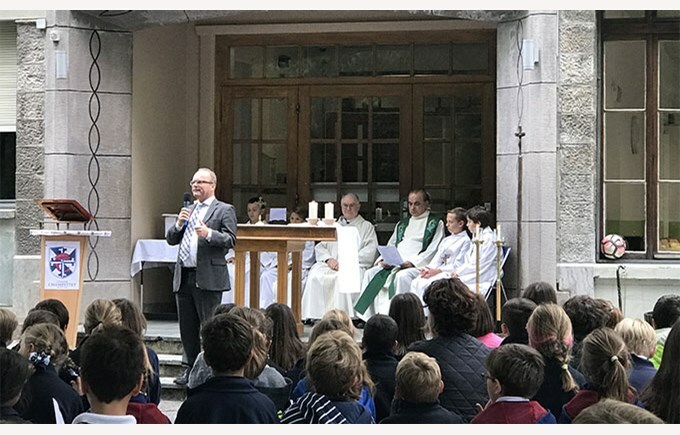 In his speech, Mr. Philippe de Korodi, Managing Director, highlighted the importance of living together at peace, no matter what our beliefs or our origins can be. 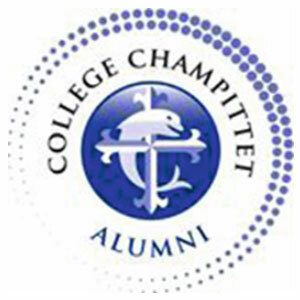 This school year’s theme is friendship; a theme that is crucial in a world that more than ever is need of peace.